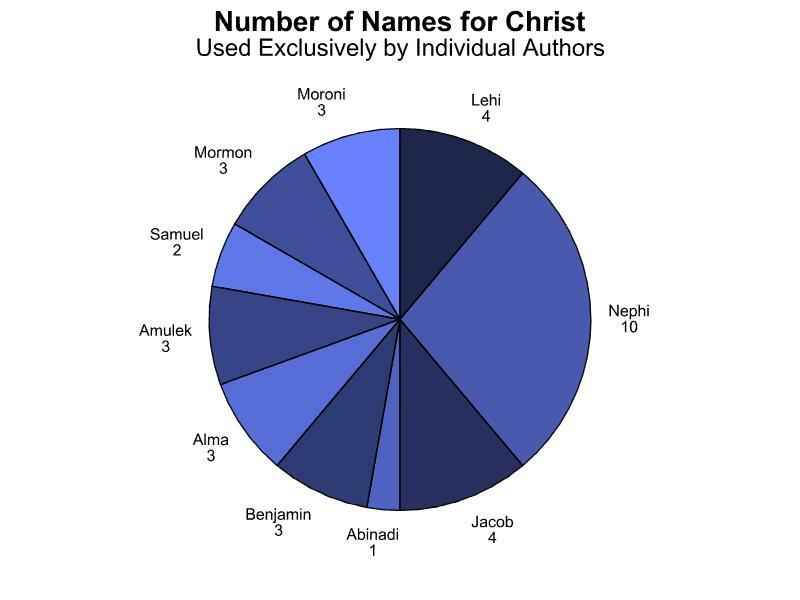 Of the sixty-seven names for Jesus Christ employed by major Book of Mormon authors, nearly half are used exclusively by individual authors. For example, of the thirty-eight names that Nephi1 used for Christ, ten were used exclusively by him; of the twenty-two names Jacob used, four were unique to him; and so on. These figures suggest the originality and rich gospel perspectives and testimonies of the prophets and record keepers who contributed to the Book of Mormon record—an aspect preserved by Mormon's abridging and Joseph Smith's translating.